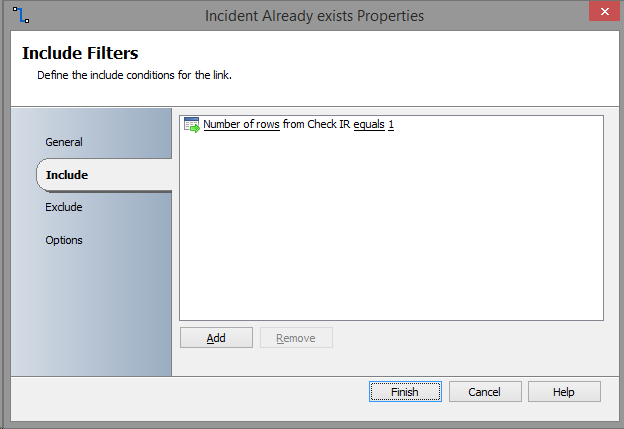 Any new incident generated by SCOM alerts and matching the filters inside the SCOM-SCSM connector will be registered in this table, along with the number of occurrences (sorted in the “IncidentOccurrence” column). If a new incident with the same title is triggered, the number of occurrences will increase. Once it reaches a value equal or greater than 5, a problem will be generated. Solving the problem resets the “IncidentOccurrence” filed to 0. If the number of rows returned by the query is 0, it means this is the first time the incident was triggered. 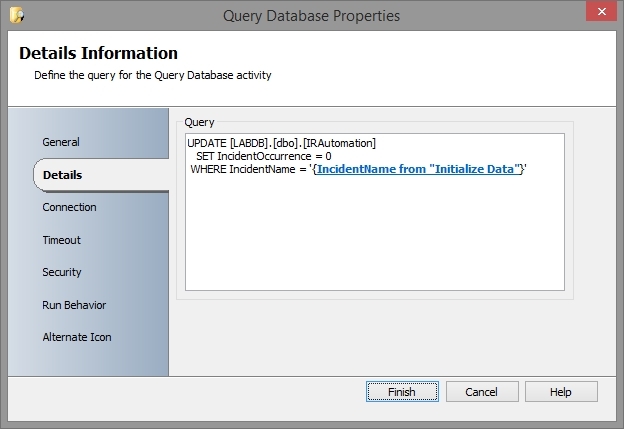 Proceed and register the new incident, using the “Write to Database” activity. 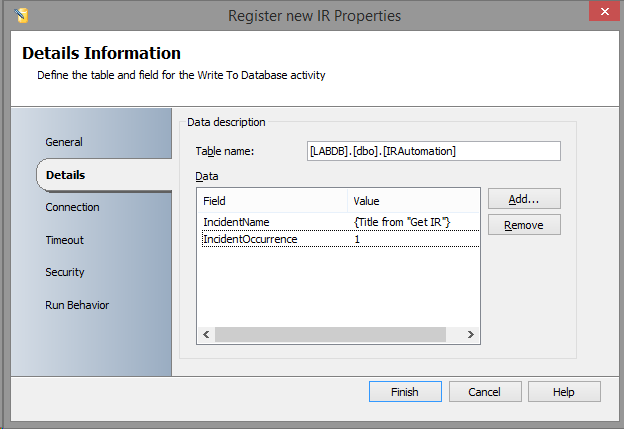 Use the Title from “Get IR” to fill the “IncidentName” field and change the value for “IncidentOccurrence” to 1. If the number of rows returned by the query “Check IR” is 1, it means the incident was triggered before. Increase the number of occurrences by 1. The “Write to Database” activity allows only to insert new rows, so in order to do an update on existing rows, you can use the “Query Database” activity. If the number of rows returned by the query is 0, it means the incident occurrence is bellow 5. The flow goes up to the green branch, without creating/updating a problem. If the number of rows returned by the query is 1, it means that the incident occurrence is equal to or greater than 5. The runbook continues with checking weather or not the problem was already created. Since counters were deprecated in this version of the runbook, it’s also necessary to replace them inside child runbooks as well. Once the problem is solved/closed the incident occurrence is set to 0. Use again the “Query Database” activity to do an “UPDATE”. As I said at the beginning of this series, this is not a “production ready” solution. I tried to show as many Orhcestrator features.capabilities as possible, and from time to time to recommend some additional developments that would make this solution better. I might use this runbook as a base for future posts, and add to it more and more features and improvements that are required in production runbooks.